Each single mom has her own unique experience and challenges. My only real challenge as a single mom is finances. There just never seems to be enough money. Ever. Feeding a family on a single mom budget isn’t always easy, but I’ve found what works for us. 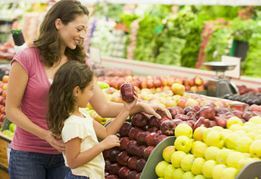 It is entirely possible to feed a family healthy foods on a tight budget. In fact, I spend approximately $65 each week. Here’s how. Cooking from ‘scratch’ saves money. I grew up eating minimally processed foods because that’s what was available. people cooked. As a part of a big southern family, I most certainly learned to cook.